Active Protocols: A-120 is to be contained in a glass container of 2x1x2 meters at Containment Wing within Site-074, and it is to be guarded by 1 Security personnel. Any testing of A-120 is to be conducted by a Researcher with level two clearance or higher. If A-120 needs to be transported, it shall be transported back by one D-class and two Security Personnel. 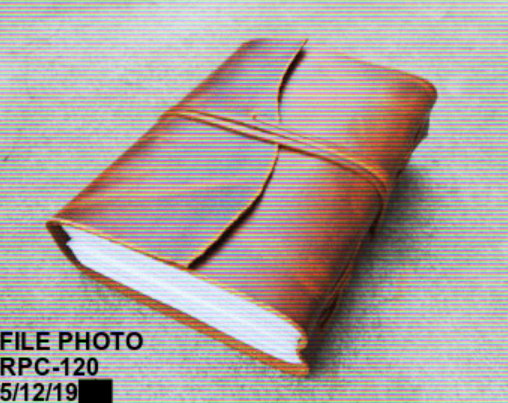 Description: A-120 is a leather-bound notebook dated to have been created in the early 19th century. No title or author appear anywhere on the book, and the front cover is blank. From recent tests, it has been concluded that A-120 has a language which is currently not comprehensible, possibly being an ancient language containing Germanic runes. A-120 has multiple anomalous characteristics. Whenever a person reads its content, they will permanently lose their ability to speak. Those under the influence A-120 show loss of major cognitive functions such as the ability to speak, severe anxiety and paranoia, believing that they are in great danger. There is no clear and present threat other than those suffering from the effects of A-120. Statistical observation shows that over 75% of the subjects affected by A-120 commit suicide roughly thirty days after after reading. Apart from its effects on humans, the book is also completely indestructible, as it will regenerate from all damage over time. Termination of the book will result in it completely re-manifesting somewhere nearby, out of harm's way. All attempts to find another copy of A-120 have been unsuccessful. The background of how A-120 came into existence is currently unknown, the Initiative has cross-referenced similar book styles to A-120 in hopes to find a possible author, but results were inconclusive. Attempts to locate the author of A-120 are still underway. At this time however, it is not considered a major priority. Recovery: A-120 came to the Initiative's attention in 19██ when the town of ███████, USA reported a large number of strange medical cases of residents losing their ability to speak, becoming panicked/depressed, and committing suicide. The Initiative took notice to this after A-120 has affected 10 people. agents were able to find the source of the phenomena, A-120, in the town's public library. The object was recovered without incident and the town was amnesthetized with the cover story that water run-off from a nearby chemical plant caused town residents to become mentally ill.
Foreword: It has been 3 weeks since D-6750 has come into contact with A-120. D-6750 has been given pen and paper to communicate. Dr. █████: "Good morning, D-6750, how have you been?" Dr. █████: "Oh…That's quite the interesting thing to see, we'll look further into this, thank you for your help D-6750." Closing Statement: D-6750 was escorted back to his cell where he proceeded to start his first suicide attempt after drawing this picture. The Psychology Report on D-6750 from the long time after-effect from A-120… From my analysis, D-6750 started to suffer from mild anxiety about 1-3 days in after coming into contact and being affected by A-120. He started to eat less and less over time as his anxiety worsened. Following up near to a week in, D-6750 started to show signs of paranoia, avoiding contact with other D-Class personnel. Following 2-3 weeks in, D-6750 started showing signs towards a psychotic break, yelling at other D-Class and starting fights with them, sending 1 D-Class to the med bay with a broken wrist. At the beginning of week 3 D-6750 started suicide attempts, first by cutting, then by choking themselves out. After careful observation it can be determined that D-6750 suffered a psychotic break two days before they're death. D-6750 started to outright refuse their food, and if force-fed they would vomit it back up. At this point D-6750 was at the height of their violence, destroying their cell, and trying to constantly escape, causing D-6750 to be put in solitary confinement. Following the death of D-6749, D-6750 committed suicide shortly after, showing no regard for any pain they cut their own wrists open and wrote on the wall with their own blood before collapsing and dying of blood loss. From the monthly view of D-6750, it can be determined that A-120 is a cognitohazard and memetic hazard, which causes at the least: paranoia, anxiety, and insanity. Procedure: D-3845 was instructed to enter A-120's containment and pick up the object. D-3846 was on stand-by. Results: 3 minutes into the test, D-3845 went into a fit of rage and threw A-120 onto the ground and proceeded to stomp on it multiple times until Researcher ████ had D-3845 terminated. D-3846 was then instructed to pick up and examine A-120 and place it back into its container. D-3846 had then reported to Researcher ████ that A-120 appeared to now have crumpled pages, a foot mark on the cover, and destruction of the spine of the book. Researchers checked 8 hours later on A-120 and it appeared to be in mint condition. Analysis: A-120 appears to be able to have regenerative abilities, further testing required. Procedure: D-3846 was instructed to place A-120 above an open flame, then return the object. Results: D-3846 placed A-120 on a Bunsen burner and turned the flame on. After 5 minutes, D-3846 turned the flame off and then returned A-120 to its container. D-3846 reported that it felt hot in his hands, but not burning, and that it did have burn marks which faded away back to the original state of the book over time. Analysis: Following results strengthened the theory of A-120 having regenerative abilities. Procedure: D-3895 was instructed to take A-120 and open it, but not to look at it and set it on the floor, pages open. D-3896 was then guided to use a robot and take pictures of the pages of A-120. Results: D-3895 had done as told and was escorted back to his cell after placing A-120 back into the container. There was no writing on the page in the photo done by D-3896. Analysis: It appears that the script inside of A-120 can't be seen through either electronic means or photos. Procedure: D-3996 was instructed to take A-120 and read it. Results: D-3996 had done as told, and when A-120 was returned to the container, he tried to speak to Researcher ██████ and was unable to do so. D-3996 proceeded to panic. 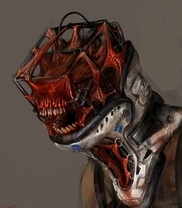 The D-Class was then escorted to the Medical Bay and was examined by Doctor ████ who was unable to determine the cause of the voice loss other than by reading A-120. Analysis: Further testing will be required to determine what A-120 specifically does to the subject to make them lose their speech. Procedure: D-Class were instructed to read A-120. D-6749 was to be introduced to the asset again a month later, while D-6750 was to not interact with A-120 again. Results: As shown with previous tests, both D-Class lost their ability to speak and started panicking after reading A-120 for 5 minutes. They were then escorted out of the containment chamber. During the month span the D-Class both started showing signs of paranoia, schizophrenia, severe anxiety, and depression. As the month neared to an end, both D-Class started to attempt suicide, but failed. D-6749 was introduced back to A-120 and upon entering started to scream. D-6749 started slamming their head into a wall while screaming until they died from extensive blunt-force trauma. D-6750 also committed suicide, via cutting their wrists open. While they were dying, they wrote "The Ancient ████ come to claim us!" on the wall. Analysis: Insanity, acquired through A-120 over the long term, may be caused by inability to tell of some ancient, incoming danger.